Three cobalt(II) and (III) complexes based on the 4′-hydroxy-2,2′:6′,2"-terpyridine (tpyOH) have been synthesized and structurally characterized by X-ray crystallography. The reaction of tpyOH with CoCl2·6H2O in a mixture of methanol/CH2Cl2 resulted in the formation of the new complex [CoIICl2(tpyOH)] (1). On the other hand, the reaction of CoCl2·6H2O with tpyOH in a 2:1 or 1:1 mol ratio in methanol under reflux condition affords the new complexes [CoIII(tpyOH)(tpyO)][CoIICl4]·H2O (2) and [CoIIICl2(H2O)(tpyO)]·H2O (3), respectively. Moreover, the treatment of a methanolic solution of CoCl2·6H2O with tpyOH in a branched tube at 60 °C resulted in the formation of three quality crystals of the complexes 1 and 2 as the major products as well as the complex 3 as a minor product. The crystal structure of [CoCl2(tpyOH)] (1) reveals that the cobalt(II) is penta-coordinated by two Cl− and three nitrogen atoms of tpyOH in a distorted square pyramidal geometry. The complex [CoIII(tpyOH)(tpyO)][CoIICl4]·H2O (2) is described as a highly distorted octahedral geometry [CoN6] while the X-ray crystal structure of the complex [CoIIICl2(H2O)(tpyO)]·H2O (3) shows that cobalt(III) is hexa-coordinated in a slightly distorted octahedral geometry CoCl2N3O. Several strong noncovalent interactions are present in the crystal structure of 1–3. The hydrogen bonding in 1 involves the OH⋯Cl bridges while there is a hydrogen bonding between tpyO and tpyOH of the next molecule in 2 and hydrogen bridges and π–π interactions for 3, connecting molecules and ions in the crystalline 1–3 to form supramolecular networks. The thermal stabilities of the cobalt complexes reveal that the loss of free terpyridine ligand could not be observed in low temperatures. 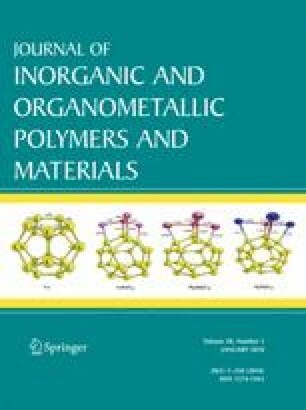 The hexagonal and spherical Co3O4 nanoparticles (NPCs) were prepared by direct calcination of complexes 1–3 at 600 °C in air. The nanostructures of the products were characterized by IR, powder X-ray diffraction, field emission scanning electron microscopy and energy-dispersive X-ray spectroscopy which show the purity of the resulting Co3O4 NPCs. The average particle size using Scherrer’s equation is calculated to be about 32–35 nm. We would like to thank the Iran National Science Foundation (INSF) for financial support (Grant No. 93051215). We also thank the Science Research Council of K.N. Toosi University of Technology for financial support. We greatly appreciate Professor Jan Janczak for his helpful advice on X-ray crystallography.